At FSPW we have a dedicated board of directors, comprised of individuals from diverse backgrounds who are integrated into many other organizations in our communities. Each person has made a long term commitments to our mission. Many have served since our inception 9 years ago. Occasionally, we add someone when they bring a unique strength or perspective. We are pleased to announce that as of this week Maggie Pittman has joined our board! Maggie’s background and passion will bring to us a valuable perspective and an enthusiasm that inspires. 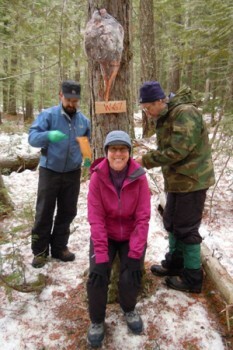 Please join me in welcoming Maggie to FSPW and to the community of our partners who share a passion for Wilderness! For those of you who don’t yet know Maggie, I’d like to share some of her background. Maggie retired in 2012 from a 32-year career with the US Forest Service. She most recently served as the deputy forest supervisor of the Idaho Panhandle National Forest and the Missoula District Ranger on the Lolo National Forest. 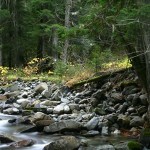 In 2006 she received the Brass Lantern Award from the Montana Wilderness Association for her collaborative leadership during the Lolo forest planning efforts. She has a BS in forestry and recreation resource management from the University of Montana. 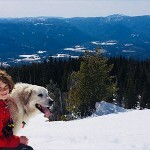 Maggie grew up in the Pacific Northwest and has spent many days hiking and biking the trails and roads throughout. 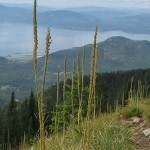 Her hikes in the Cabinet and Selkirk Mountains have solidified her desire and commitment to protect the Wilderness character of the Scotchman Peaks. 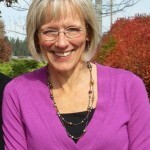 She lives in Coeur d’Alene, Idaho where she is established as a professional meeting facilitator and certified mediator in organizational problem solving. Coming to CDA, Friday Jan17th! 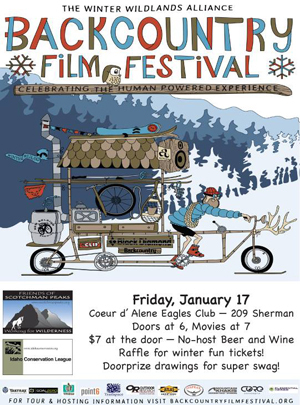 Join FSPW and ICL this Pfriday in CDA for a fun night of films and friends in support of North Idaho Wilderness and Conservation. $1000 grant for wolverines is looking for a match. 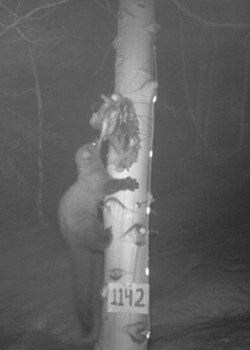 We caught this fisher taking the bait with one of our FSPW cameras. It’s always a great moment when you get to see the pictures! A generous anonymous donor has once again put $1000 into our coffers for the upcoming winter rare carnivore study. We challenge the rest of our Friends to come up with a similar amount for this important project. Go to https://www.scotchmanpeaks.org/donate/ and follow the instruction on screen (be sure to note that it’s for wolverines in the final page) or send your check to “Wolverine Study, c/o FSPW, P.O. Box 2061, Sandpoint, ID 83864. Thanks very much! P.S. 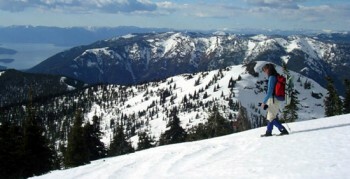 Wolverine station training day is December 7, contact mustelids@scotchmanpeaks.org to attend! Volunteering as a hike leader has a great benefit to our community and in fostering connections with our public lands. We would love to hear your ideas for winter hikes! Thank you all for all that you do! Let’s keep our fingers crossed for a great snow year! Contributions make this project possible! 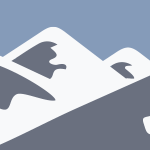 For further information, please contact Kristen@scotchmanpeaks.org. Volunteer Appreciation Party At Beyond Hope Resort! Let us do a little something for those of you who have done a lot for us! Bring a chair, too, please, and your own utensils and something to eat from (so we don’t unnecessarily use up paper or plastic). Time to start thinking about which photo you will enter in the contest! The 2013 Scotchman Peaks Photo contest begins taking entries on Sunday, September 1. You can win some Friends swag or — if your really good — a custom-framed copy of your winning photo. Read all about here. Cinnabar Grant doubles your money for the wolverine project. We had major funding for the 2011/12 Rare Carnivore Study from Zoo Boise. Last year we lost out to a tortoise in the final voting (go figure). Last year, we took on 40 camera stations. Last year, we did 18, and we are asking for donations to help us continue, albeit at at reduced pace — we might catch that tortoise yet. To that end, we have a $3000 matching grant from Cinnabar. This is a good opportunity to double your money. To donate is pretty simple. Click this link and follow the instruction on the page.